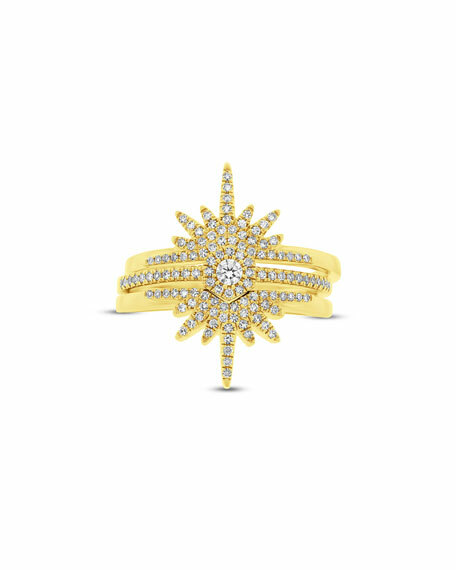 Ron Hami "Starburst Love Bold" stacking rings. Pavé white diamonds; round diamond at center band. For in-store inquiries, use sku #2427884.